The end of the year is almost upon us and yes, the holiday rush has set in. These next weeks will fly by even faster than the ones before them. Then, before we know it, 2016 will be here. 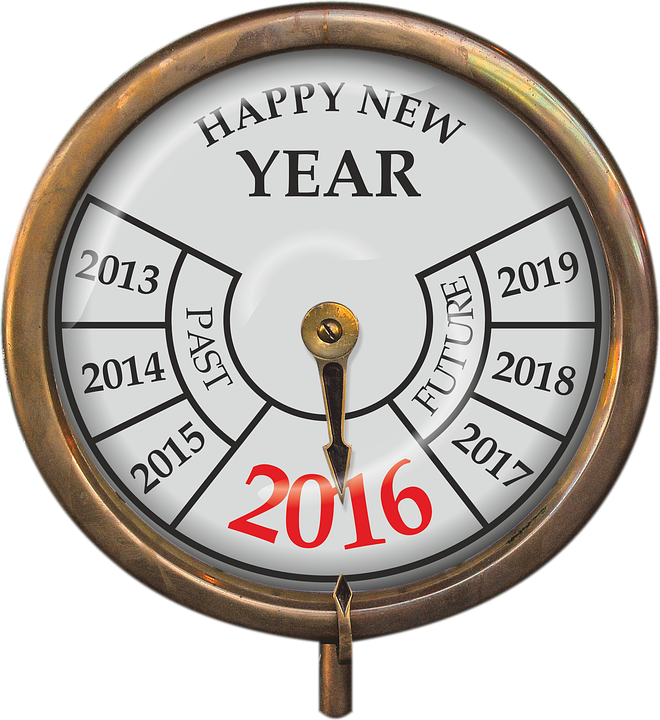 A fresh, new year to do all the things we didn’t have a chance to do in 2015. As we prepare for the holidays both professionally and personally, planning for the new year may be the last thing on the minds of some small business owners. If you’ve been caught up in the holiday hubbub, don’t wait to plan — start now to come up with ideas for 2016. 1) Try a press release: If you’ve never issued a press release or if it’s been a while, find a reason to issue one in the new year. Press releases help search engine optimization (SEO) and can be used in a number of ways to help market your product, service or company. Read more on five ways to use a press release here. 2) Speak to increase credibility and visibility: Speaking engagements are a great way to attract the attention of potential clients and position you as the expert. It’s important to select the appropriate venues, so do your research on local, regional and national groups, trade shows and other industry events that accept speaker proposals. 3) And the award goes to: Awards programs are fairly easy to implement and can help attract attention to your product, service or company. If you win an award, it makes great marketing material. You can tout it on your site or issue a press release and forever after be known as the “award-winning” company. 4) Reach out to local publications in your area: If you haven’t reached out to your local media, be sure to consider that in 2016. Most cities have a major daily paper, as well as smaller community newspapers and magazines that are specific to certain suburbs. You can also try local TV and radio, if your story lends itself to broadcast media. 5) Try — or amp up — your use of social media: Let’s face it. Although many small business owners and startups intend to do more when it comes to social media, it’s easy to neglect it. Here’s the thing: It’s a free way to market your business! If you’re not doing any social media, start by choosing one or two platforms such as Twitter, LinkedIn, Google+, Pinterest, Instagram or Facebook. If social media is already in your marketing mix, plan to beef up your efforts in the new year. 6) Sponsor an event: Have you tried sponsoring any charitable events, perhaps in conjunction with the types of businesses you’re trying to attract as clients? Attaching your company to a benefit or charity could help attract potential clients’ interest. And, maybe more importantly, you’ll be doing something to help others, too. 7) Create an online news area: Add an online news area to your site, if you haven’t done so. This can be an area where you post press releases and news stories about your company. You can also add a downloadable “press kit” with more information on the company, such as team bios, photos, logos, product shots and other material. This makes it easy for reporters who may want to cover you to grab what they need. Read more on what to include here. 8) Create case studies: Position your company as an expert by creating case studies on your customers, including details about how they’re using your product or service, how much time or money it’s saved them, and what their future plans might be to increase usage. You can use these to pitch as stories to the media, and can also leverage them as sales materials for potential customers. Content marketing continues to be all the rage, and case studies are a perfect example of that. 9) Reach out to vertical media: Don’t overlook reaching out to industry publications and/or bloggers, selecting those publications and blogs that your potential customers are reading. They’re looking for great content in the form of contributed articles and new product announcements. Why not fill the gaps for them with your expertise? 10) Network like you mean it: While networking doesn’t necessarily fall into this category, it’s critical for all small businesses and startups. Be sure to dedicate the time to do it and select the events your potential clients attend. Get involved in an organization or two at a deeper level to really get to know people. This can truly pay off over time to keep business coming your way. These are just a few ideas to get you started…what are your PR and marketing plans for 2016?